Sean Luce has trained more than 50,000 sales people and managers in over 500 seminars worldwide. He is constantly in the field in every size market, training reps, and calling on business owners-a hands-on style that gives him a fresh and current perspective of what’s happening in today’s media world. 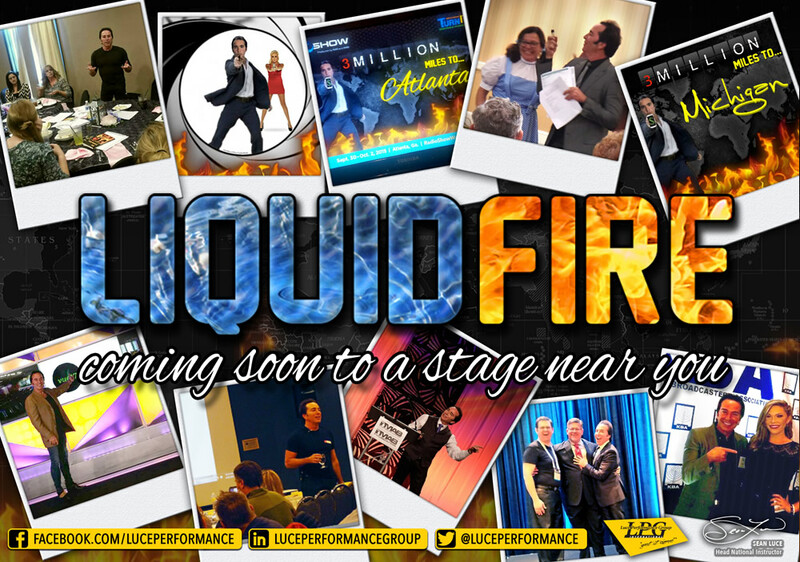 He’s on the road 40-plus weeks a year taking the “Liquid Fire” message to help others achieve their goals. Sean has conducted seminars on sales and marketing on three continents and in all 50 United States, working with Fortune 500 companies, universities, television and radio stations, internet firms, newspapers and magazines, and the National Association of Broadcasters and the Radio Advertising Bureau. Additionally, Sean is a contributing writer for various national publications in business, sales and sales management. He’s been featured in many of media’ top magazines, including Advertising Age, Promo magazine, and Radio Ink and many more. Sean helped develop the “Buyers Awareness Cycle,” which is used as a media industry standard. He’s also a avid student of martial arts and uses the connection between martial arts and sales in many of his seminars. The Luce Performance Group also features Mark Maier, Head Western Instructor, who heads up LPG's research and development division and is a great source for leading media trends and is a contributor to LPG blogs. Jon Morse, is LPG's Recruiting Coordinator and helps client groups hire outstanding sales professionals. Paul White is LPG's Head of Internet Technology. Paul's helps our clients retool their websites to take advantage of social media, and search engines to help clients increase their traffic and revenues. George Luce is the President of Luce Performance Group since it's founding in 1999.